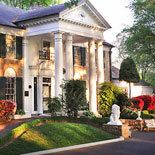 Visit Graceland Mansion, the home of Elvis Presley, in Memphis, Tennessee on the Elvis Presley Graceland Tour. See how Elvis lived and relaxed with family and friends. 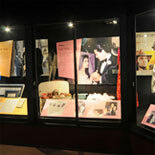 Enjoy video, photos, Elvis' personal mementos, movie memorabilia, stage costumes and much more. A great way to enjoy the full Graceland experience! 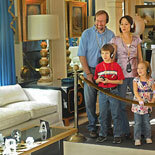 Step inside Graceland Mansion on the Elvis Experience Tour plus Planes, and follow in the same steps as Elvis himself. Enjoy a new Orientation film and an audio-guided tour featuring commentary and stories by Elvis and his daughter Lisa Marie. See where Elvis lived, relaxed and spent time with his friends and family. The Graceland Mansion tour includes Elvis" living room, music room, parents' bedroom, dining room, kitchen, TV room, pool room and the famous Jungle Room. After touring the Mansion, check out the other great parts of the 14-acre estate as you tour Vernon Presley's business office and Elvis' racquetball building. 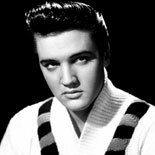 Also part of the Mansion tour you'll visit Elvis' trophy building that houses an amazing collection of his gold and platinum records, as well as other great memorabilia from Elvis' early career, his movies, his charitable endeavors and more. Elvis loved cars and Jets. See his car collection in the Automobile Museum and his custom Jets. 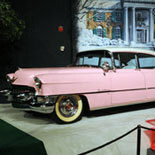 Stroll down a tree-lined street with a drive-in theater and see over 33 vehicles owned by Elvis. Highlights include his famous Pink Cadillac, Harley-Davidson motorcycles, Stutz Blackhawks, a 1975 Dino Ferrari, a 1956 Cadillac Eldorado Convertible, the red MG from Blue Hawaii and more. 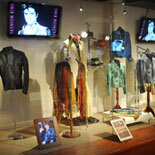 This interactive exhibit allows you to experience how Elvis has influenced pop culture as we know it today. 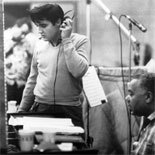 Through video, photos and special displays, you will be able to trace Elvis' impact on music and the world, explore Elvis' music through listening stations and more. The '68 Special Exhibit at Graceland Crossing offers a look at this historic television event through videos, photos and displays of artifacts from the special. The displays include some of the outfits Elvis wore during the '68 Special, a script and a timeline of significant historical events occurring in the U.S. at that time. The final stop on the tour of Graceland Mansion is Meditation Garden where Elvis and members of his family have been laid to rest. Fan of Elvis? 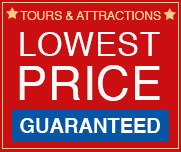 Get your eTickets today and Immerse yourself in Elvis' life, on the Elvis Presley Graceland Tour. You will come away knowing why he was the King of Rock n Roll! Graceland is open year round. Oak Hollow Cr and Elvis Presley Blvd. + Reservations are not required. 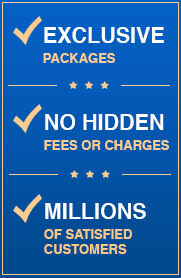 + No bags (including camera bags, backpacks, shopping bags, briefcases or luggage items) will be allowed on the tour. Any other items carried on tour will be searched. Graceland provides lockers for guests who do not wish to leave these items in their vehicle. Assistance is available at the Guest Services desk. + The use of video cameras, movie cameras, and tape recorders is prohibited inside any of the museums, attractions and shops in the plaza. The use of such equipment is allowed only outdoors in Graceland Plaza. Such equipment is not permitted on the Graceland Mansion grounds. Graceland provides lockers for guests who do not wish to leave this equipment in their vehicle. Assistance is available at the Guest Services desk + Pets are not allowed on any Graceland tour or inside any Graceland attraction or facility except for service animals.